Long-term weed management strategies have the most potential to reduce weed pressure and allow for reduced herbicide use. 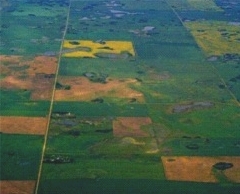 These strategies aim to prevent weed problems before they occur or gradually reduce weed populations to the point where they are no longer problematic. Read more about long-term weed management strategies in the topics found in the left navigation bar.